Since Parallels Desktop version 10 you no longer need to think about the unused disk space in your WIndows virtual machine (VM). We have created a feature that takes care of that for you. 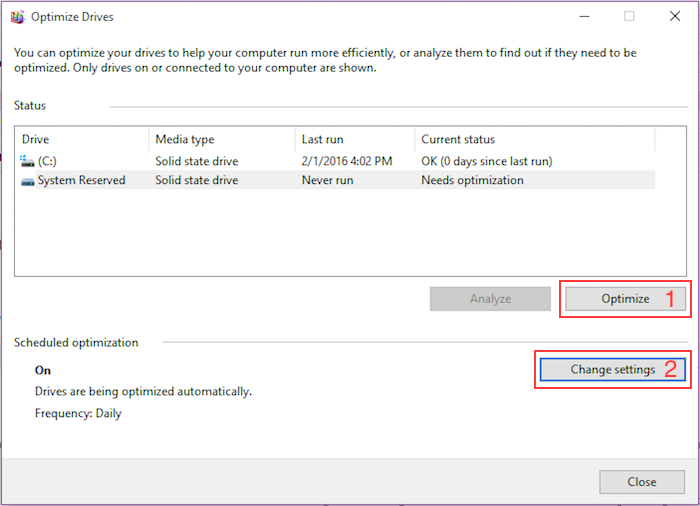 The real-time disk optimization feature relies on a TRIM command, which is used in Windows by Optimize Drives option (previously called Disk Defragmenter), and by default runs automatically on a weekly schedule. But you can also optimize drives on your PC manually. 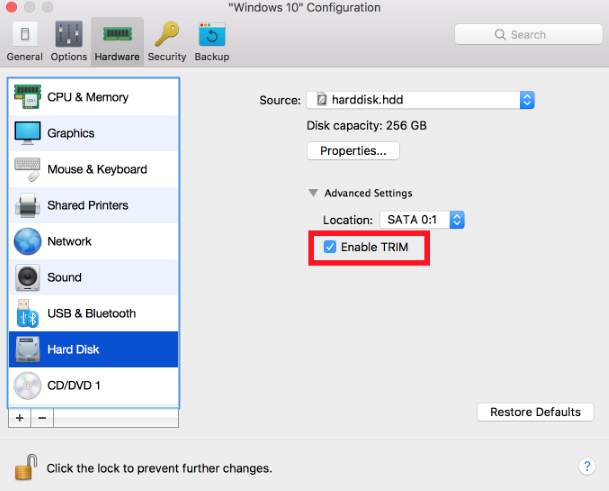 This feature is enabled by default if your Mac's primary hard drive is an SSD drive, and it is available for Windows 7, 8, 8.1 and 10 virtual machines and the OS X virtual machines starting from 10.8 Mountain Lion. To enable the real-time optimization on the traditional HDD drive you need to shut down your VM -> open your virtual machine's configuration. Go to Hardware > Hard Disk 1 > unwrap Advanced Settings > check the Enable TRIM option. 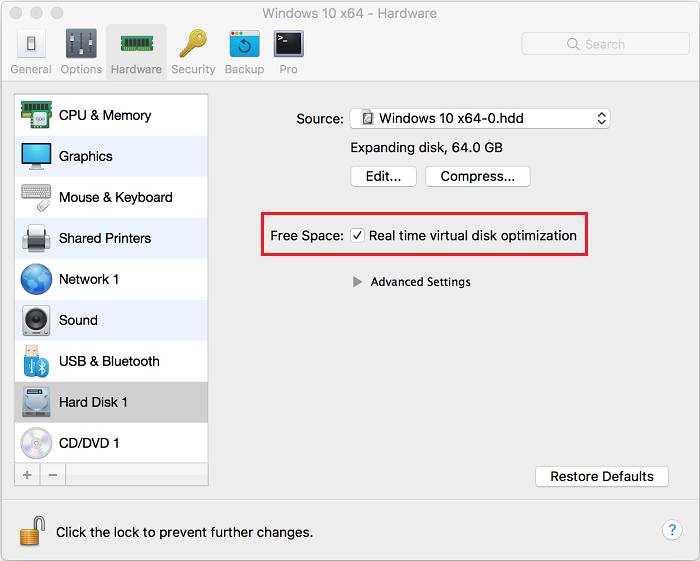 Go to Hardware > Hard Disk 1 > check the Free Space: Real time virtual disk optimization option. NOTE: Real time virtual disk optimization may affect virtual machine's performance while doing the compacting (not constantly). 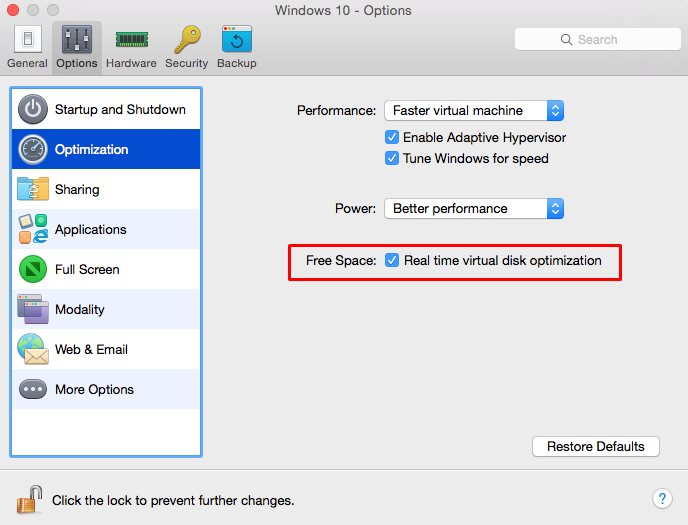 Go to Options > Optimization > check the Free Space: Real time virtual disk optimization option. Once Windows triggers TRIM for its disks, Parallels Desktop detects it and resizes *.hdd accordingly. You may also reclaim available disk space manually by following instructions from KB114654.